Shroud of the Avatar is at a very exciting time in development. As you know, we are in the process of putting the finishing touches on the story, polishing the new user experience, and a host of other efforts to prepare the game for a commercial launch of Episode 1 – Forsaken Virtues later this year. We are forever grateful to our backers who have helped us to reach levels of support that we never dreamed of having. 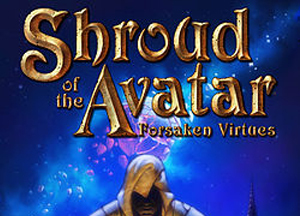 That support has brought Shroud of the Avatar to where it is today. And with a commercial launch now in sight, it’s time to focus more on marketing and user acquisition as we scale up our player base and the service. As part of that effort, we are transitioning from being exclusively a developer to also being a publisher. This means we need to begin focusing on marketing and user acquisition, as we scale up users and the service. These efforts of course require funds beyond just development. This has led us to this moment where for the first time we get to offer you the chance to invest in Portalarium through the power of Equity Crowdfunding (aka Regulation CF). To learn more about how you or someone you know can be part of our future, please visit the SeedInvest website.